Many real world problems involve free surfaces in complex geometry and such is the case with modeling tsunamis. Needless to say that tsunamis cause enormous devastation both for life and property. Having a computationally accurate model to simulate a tsunami can mitigate future damages. For instance, in the simulation shown below, tsunami-induced vortices have been found to appear. By knowing the location and magnitude of these vortices, engineers can be better prepared for future events. Many computer programs can solve the coupled partial differential equations describing the fluid dynamics. But free surfaces add complexity to the calculations because they are constantly changing boundaries in the computational domain. Additionally, there is complex geometry consisting of both land mass and water body which requires an accurate fluid-solid interaction algorithm in the solver. FLOW-3D is especially helpful in such scenarios, thanks to its TruVOF algorithm for free-surface analysis and FAVOR™ technique for fluid-solid boundaries built into the solver. Vortex core formation in a tsunami simulation, visualized with FlowSight. 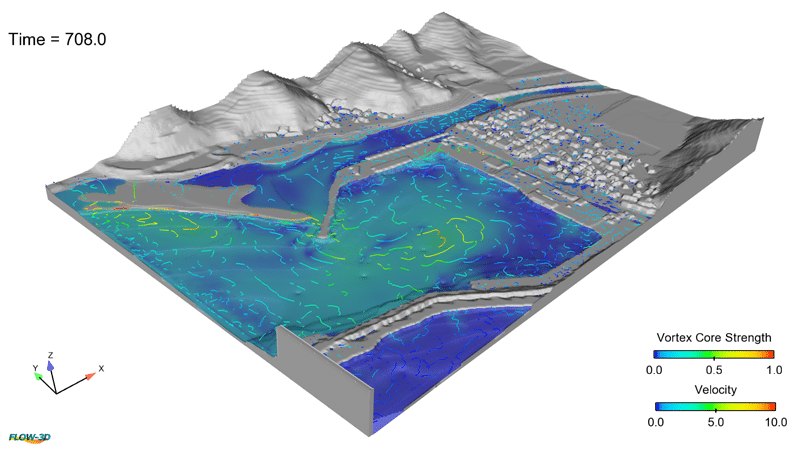 In the simulation above, the evolution of free-surface elevation has been simulated at the Port of Imwon in Korea during a tsunami. FLOW-3D also accurately calculates a tsunami-induced vortic flow generation in the center of the harbor. Studying these vortices can be helpful in understanding the impact of a tsunami depending on the size and the shape of the port and the breakwater layouts. FLOW-3D‘s post-processor FlowSight has been used to calculate the vortex core strengths by performing an Eigen value analysis. 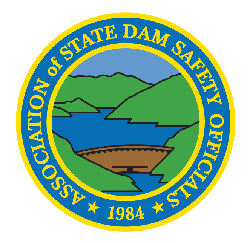 Thanks to Soft-Tech International for providing the case materials for this example.